Welcome friends to another episode of the Homebrew Happy Hour! 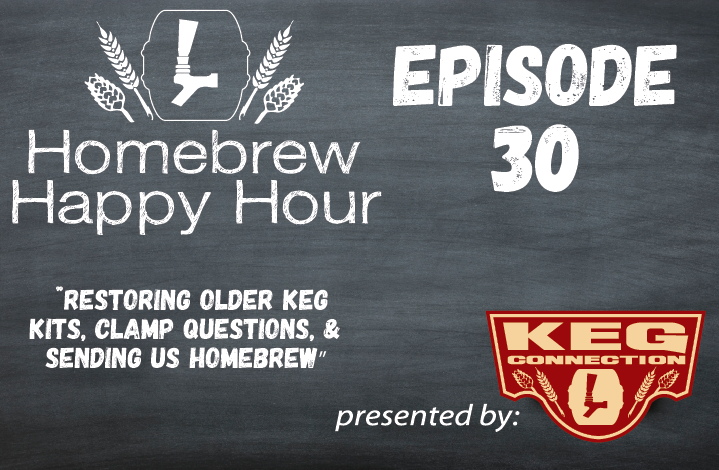 On today’s show, we answer your questions including “What to do when given an older used keg kit?”, “When to use Oetiker clamps vs. when to use worm clamps?”, and “How can I send you some of my homebrew?” (which happens to be our favorite question to date! ).